Gary Younge, a multiple award-winning author, broadcaster and editor at large for The Guardian, will be talking all things politics, America and books with Joy Francis, journalist and executive director of Words of Colour Productions. Gary has written five books, Another Day in the Death of America, The Speech, Who Are We?, Stranger in a Strange Land and No Place Like Home. Born in Hertfordshire to Barbadian parents, Gary grew up in Stevenage, studied French and Russian at Heriot Watt university and Newspaper Journalism at City University. After nine years of reporting for The Guardian from all over Europe, Africa, the US and the Caribbean, Gary was appointed The Guardian’s US correspondent in 2003 where he spent 12 years before returning to London with his wife and two children in 2015. In 2017 he was awarded the J. Anthony Lukas prize which "recognizes superb examples of nonfiction on an American topic" for Another Day in the Death of America by New York's Columbia University and the Aaronson Outstanding Achievement Award for Social Justice Journalism by the City University of New York. The book has also been shortlisted for The Orwell Prize 2017 for political writing. 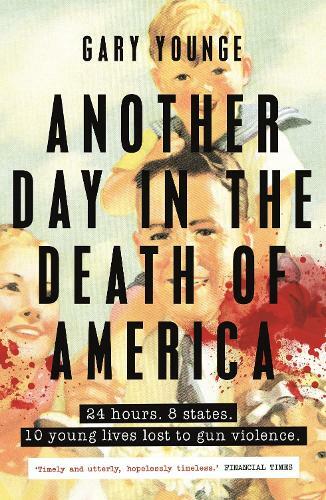 As well as being interviewed, Gary will read from Another Day in the Death of America before taking part in an audience Q&A and a book signing. Tickets costs £5 and are available online, in store, by telephone 020 7851 2400. If you have any questions or queries please email events.piccadilly@waterstones.com. Please note: Photography and/or filming will take place at the event.